Unrequited Liebe. 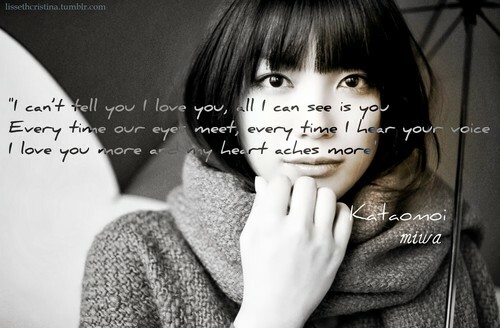 Quote from miwa's song Kataomoi (Unrequited Love). HD Wallpaper and background images in the Sad Zitate club tagged: song sad quote love heartbreak tragic unrequited love sadness miwa jpop. This Sad Zitate fan art contains porträt, kopfbild, nahaufnahme, portrait, headshot, and kopfschuss.